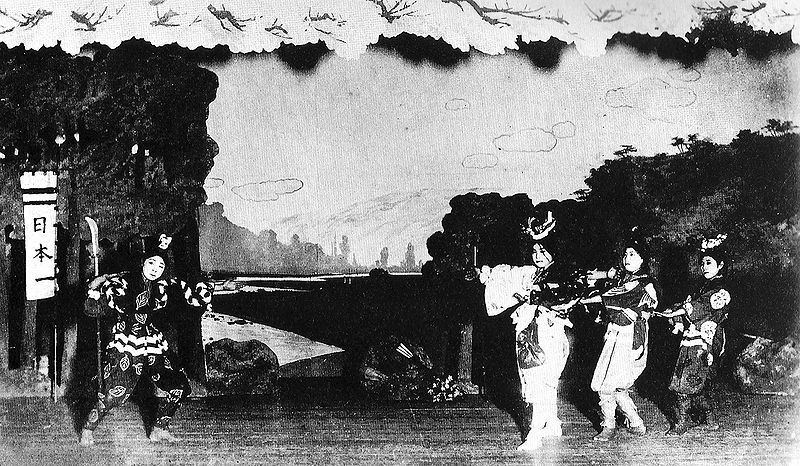 The Takarazuka Revue is the theatrical setting for The Cherry Blossom Murder. It’s real and fascinating. 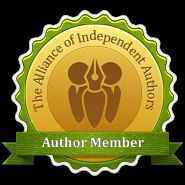 Here’s a bit of information about it. 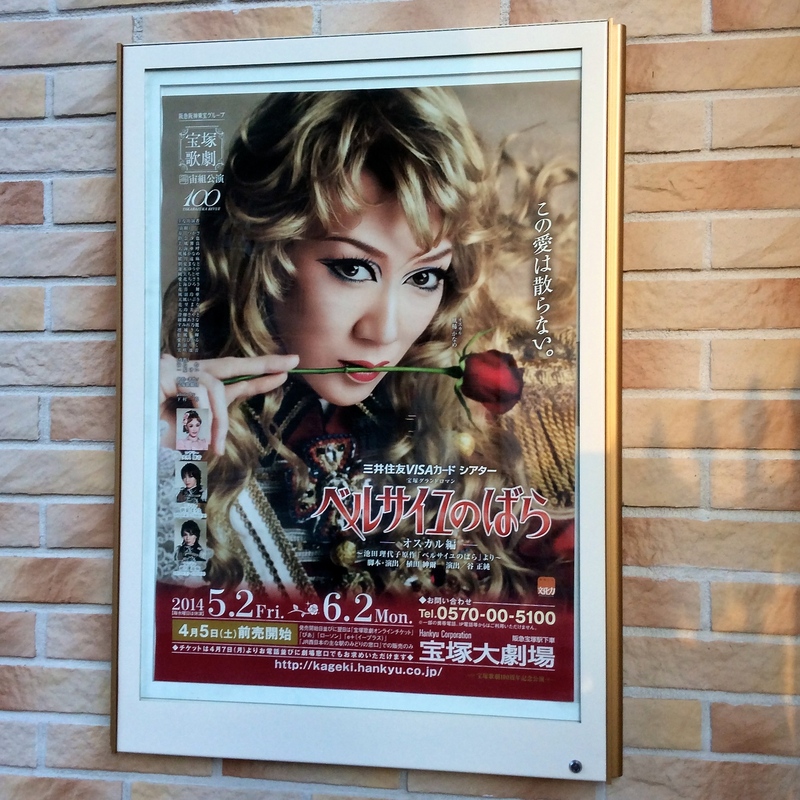 The Takarazuka Revue Company is famous in Japan and almost unknown outside it, which is amazing because it’s such a big deal. It has four hundred actress/singer/dancers permanently on the staff, twice-daily shows in two massive 2,000-seater theatres, one in Tokyo and one in Takarazuka town, just outside of Osaka, two monthly fan magazines, a DVD marketing operation and a dedicated twenty-four hour television channel, Sky Stage. How can we not have heard of it? It’s not like it’s low key. The shows are huge extravaganzas with casts that have been known to reach a hundred or more and a live orchestra for every show. The fans throng the streets in the centre of Tokyo. Former Takarazuka stars go on to become film, television and stage stars in their own right. But there’s one thing about it – it’s entertainment for women in a country where women are still second class citizens. 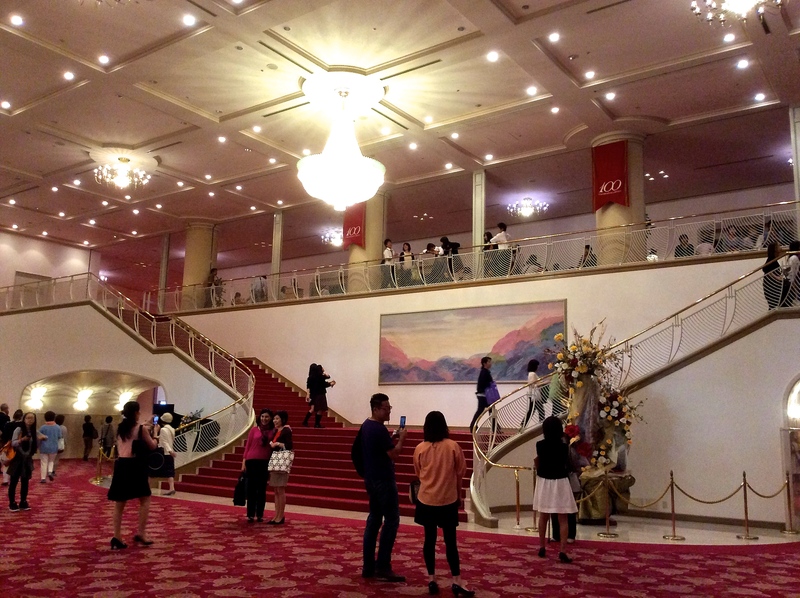 So while the kabuki is revered as culture, Takarazuka is treated as lightweight fun. 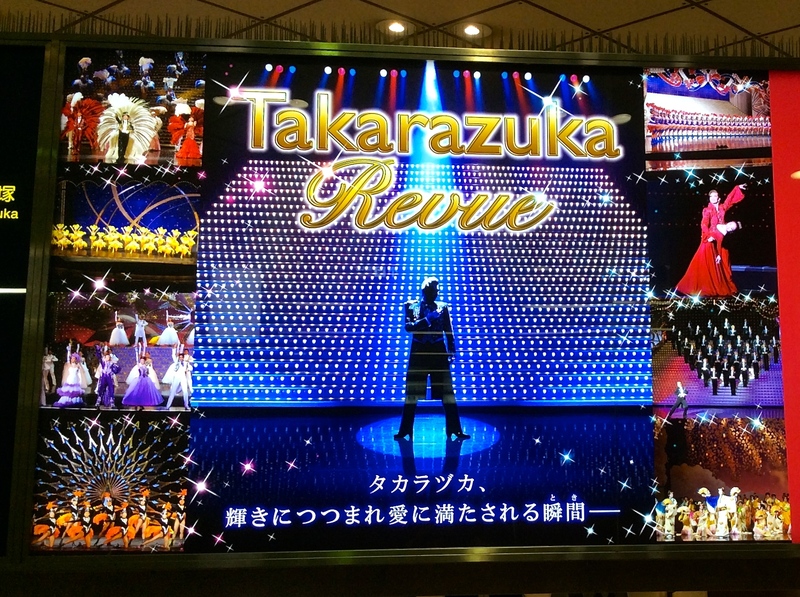 But the Takarazuka Revue has a long and honourable history, celebrating its 100th anniversary in April 2014. Here’s how it came about; in 1914, its founder, Ichiro Kobayashi, was looking for a way to attract passengers to his failing railway that ran between Osaka and Takarazuka. 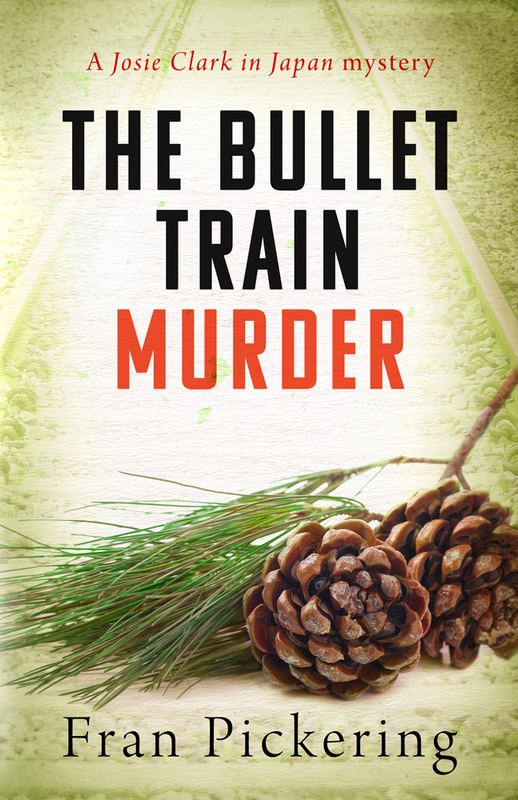 He’d seen the little troupe of boys that the Mitsukoshi department store used to attract customers so he decided to set up his own troupe of girls. There were fifteen of them, teenagers who acted out fairy stories and did little dances. They performed in a former swimming pool converted into a theatre and people loved them. 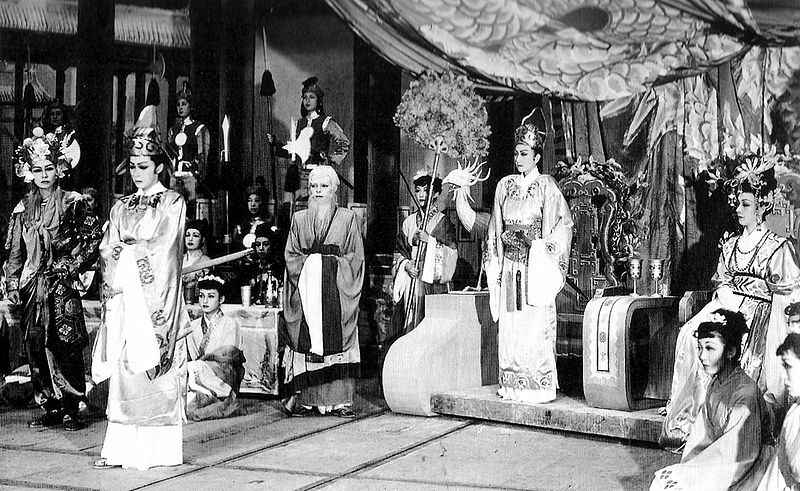 In fact they were so successful that Kobayashi built them a proper theatre, and then, when that one burned down, the biggest theatre in Japan, with room for four thousand people. Of course, that meant he needed big shows too, not just little fairy stories. So he sent a writer to Paris to learn about Parisian Revue, and the Takarazuka Revue we know today was born. Sequins, ostrich feathers, satin evening dresses, white tie and tails, chanson, it was all imported from Paris. 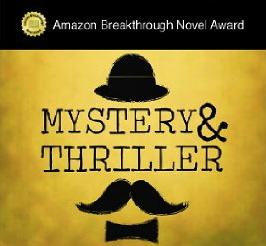 But still it was an all-female troupe – as it is today. 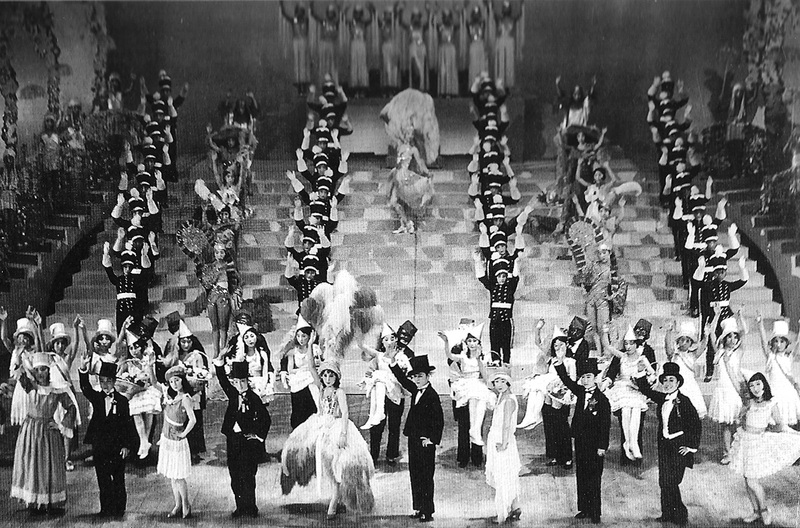 The roaring twenties were kind to Takarazuka, so much in step with the spirit of the age, but the rise of right-wing nationalism in the thirties saw them forced to give up their wicked French ways, and during the war their theatres were taken away and used for bomb-making and training naval pilots. But in the fifties they rose again, as one of the few places where women could escape their drab existence and dream of glamour. 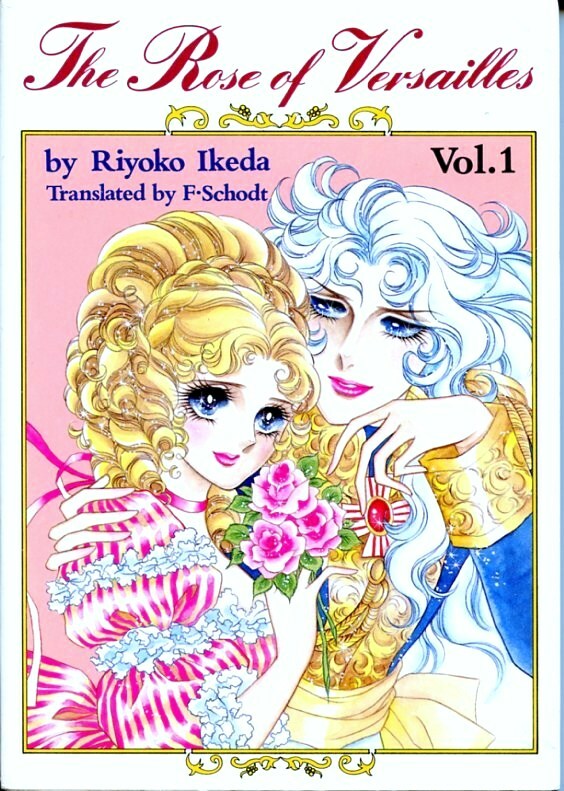 In the seventies came Takarazuka’s biggest success of all – their dramatisation of popular manga story The Rose of Versailles by Riyoko Ikeda. The whole country queued for tickets and went Berubara, as it was known, crazy. 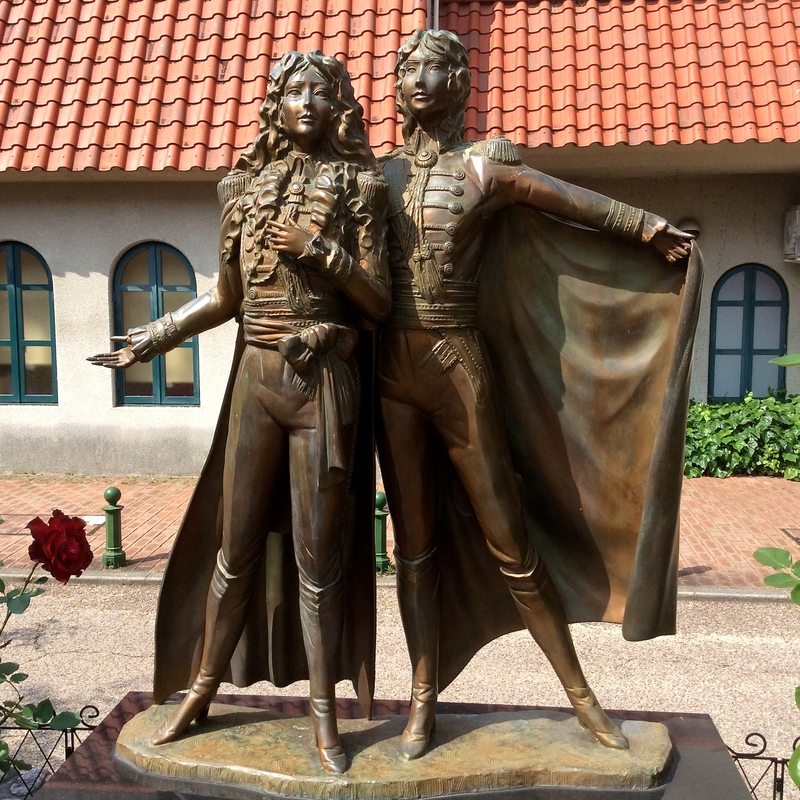 Even today The Rose of Versailles is regularly performed to packed houses. 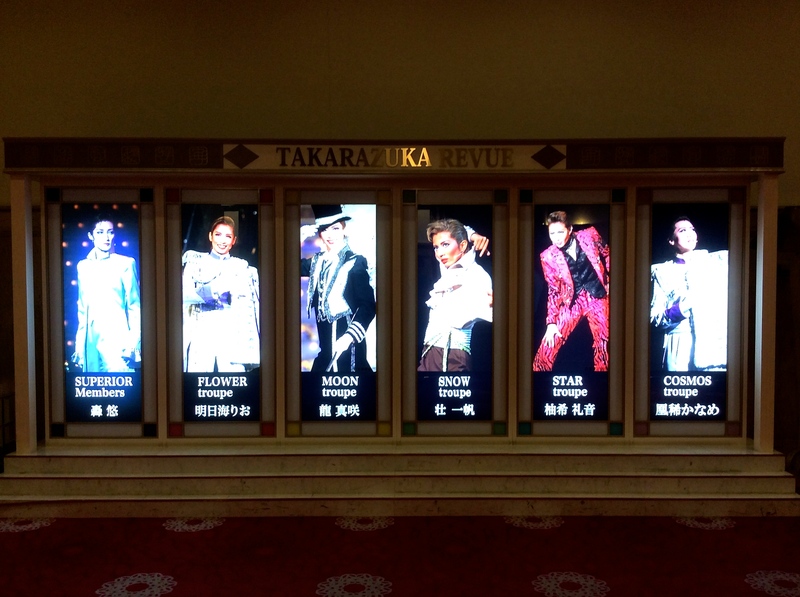 Takarazuka today consists of five troupes, called Flower, Moon, Snow, Star and Cosmos, who perform in rotation all year round. 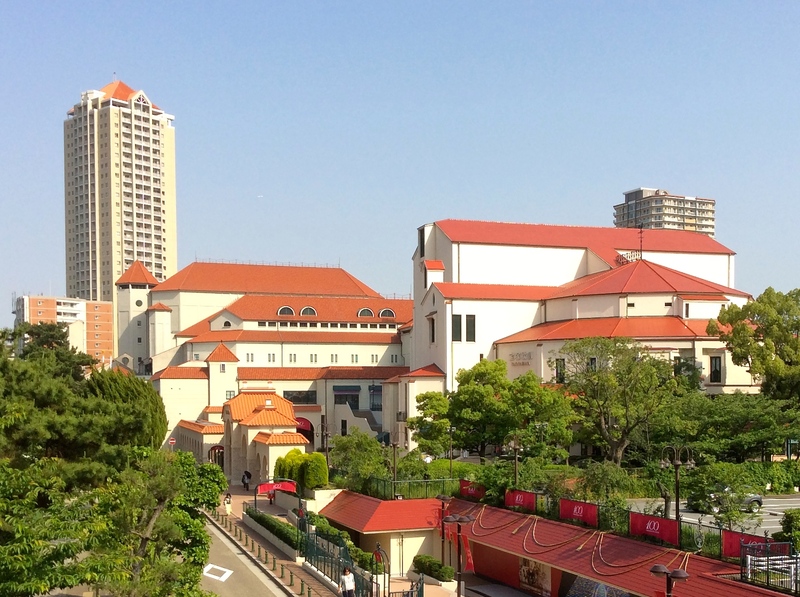 The Grand Theatre in Takarazuka is a thirty-minute train journey from Osaka. 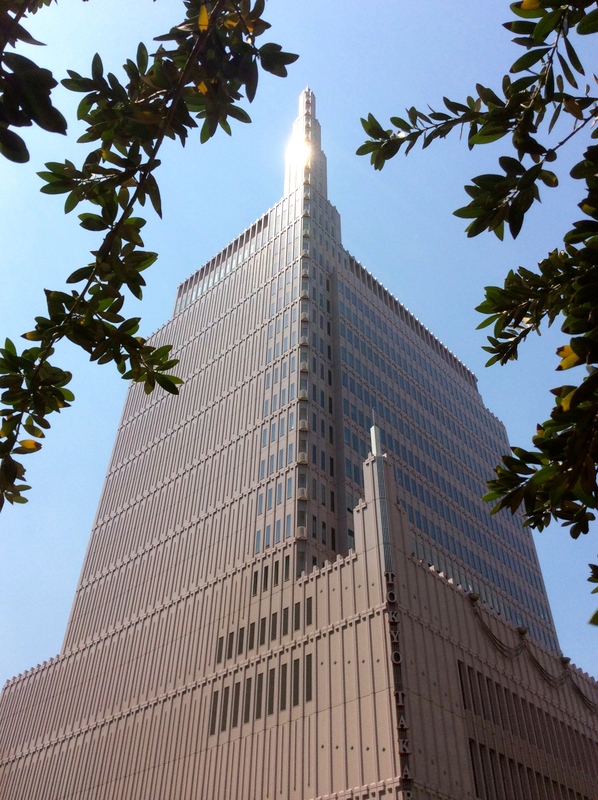 If you’re visiting Tokyo, you’ll find their theatre in Hibiya next to the Imperial Hotel and Hibiya Park.